Magnum Systems offers virtually all types of replacement filter bags and support cages for dust collectors and filtration equipment for any type, size, style or manufacturer. 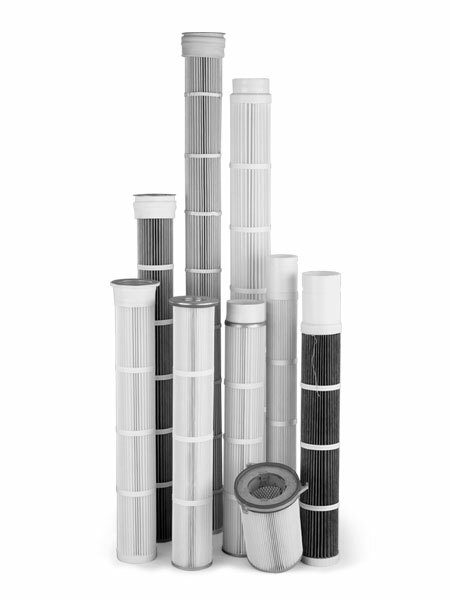 Filter medias offered include cotton, polyester, polypropylene, P-84 laminates, PTFE membrane and ryton, to name a few. Pleated filter bags and cartridges offer an alternative to optimizing your current dust collector or pneumatic receiver. They will also provide better filtration efficiencies over bags in most applications providing three to five times the filtration surface area. Additionally, pleated bags and cartridges are easier to clean than conventional filter bags because they are surface loaded, meaning the dust particles do not penetrate the media surface. Surface loading also reduces the pressure drop making pulse cleaning more efficient and economical to operate. Replacement filter bags, cages and cartridge filters for horizontal and vertical dust collectors and pneumatic receivers for other OEM units can be purchased through Magnum. Manufacturer units we service outside of Smoot include American Air Filter®, Donaldson®, Farr®, Flex-Kleen®, MAC®, Pneumafil®, Scientific Dust Collectors®, Torit®, Wheelabrator® and most domestic and foreign OEM equipment. All filter bags and cartridge filters meet or exceed government requirements and industry standards.